Paperback, 7 x 9 in. / 88 pgs / 85 color. Alongside Wim Crouwel, Karel Martens and Walter Nikkels, Jan van Toorn (born 1932) was instrumental in determining the look of Dutch graphic design in the 1970s and 1980s. Van Toorn’s designs prompt among their viewers a more careful and questioning view of art, communication and media. His is an art of oppositions: at the same time as he questions journalism, he invokes its processes; black-and-white images are spliced together with color pictures; his own handwriting interrupts bold, authoritative typefaces. 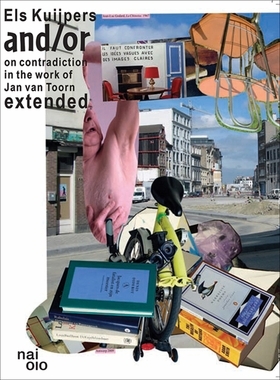 In And/Or Els Kuijpers provides insight into van Toorn’s methodologies and intentions. 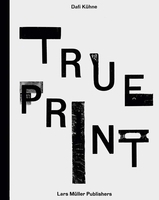 Created in close collaboration between author and designer, the text is comparable to the visual designs of van Toorn himself, with countless digressions and derailments. FORMAT: Pbk, 7 x 9 in. / 88 pgs / 85 color.